A world for all Pet Lovers to share. 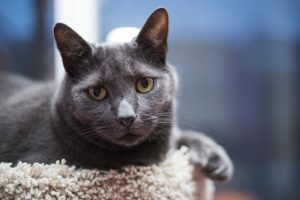 One of my favourite rescues, The Forgotten Ones Cat Rescue, is hosting an event on February 9, 2019, and I thought I’d take the time to let you know a little bit about it! If you’re in the Richmond Hill area, join the team at TruPet for a bake sale, and a small adopt-a-thon. Some other activities include petgrams, candygrams and a raffle. The Forgotten Ones Rescue is actually the rescue we got our kitten Kalista from and I cannot hype them enough! 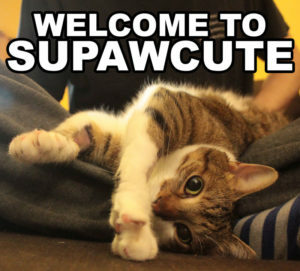 And as a special Supawcute exclusive the following are some of the cats & kittens that will be at the event! 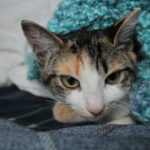 Susie is a dilute tortoiseshell Domestic Shorthair. Although new to the rescue, she has been getting along very well with her brother and sister Magnus & Dolly. 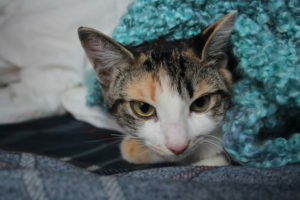 As per the rules of the rescue, Susie must be adopted into a home with another kitten or young cat. Susie is the most playful and curious of all her litter. 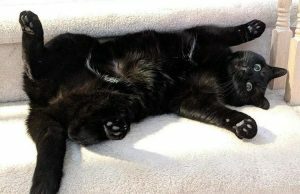 Blossom is a black Domestic Shorthair. 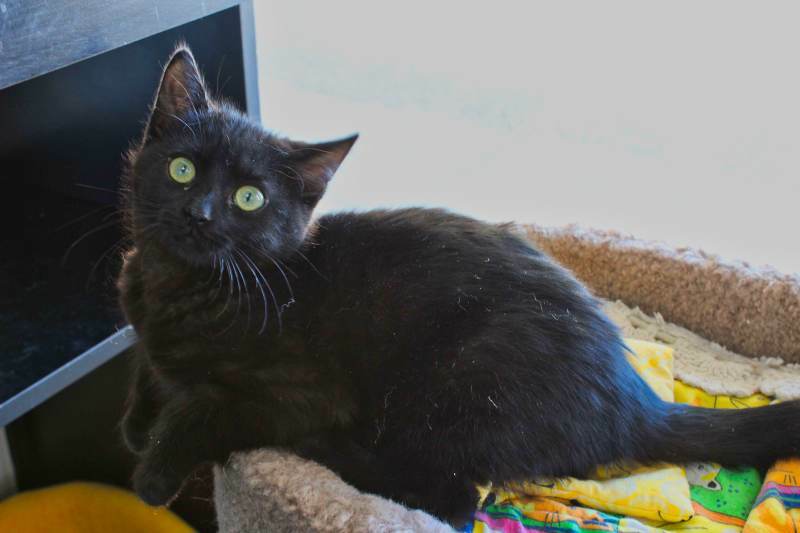 She is one of the “Powerpuff Kittens” and still needs some work with socialization. While house-trained and good with her siblings, she is still surprised by loud noises and not comfortable with being approached quickly. The rescue recommends a home with older children rather than younger ones. 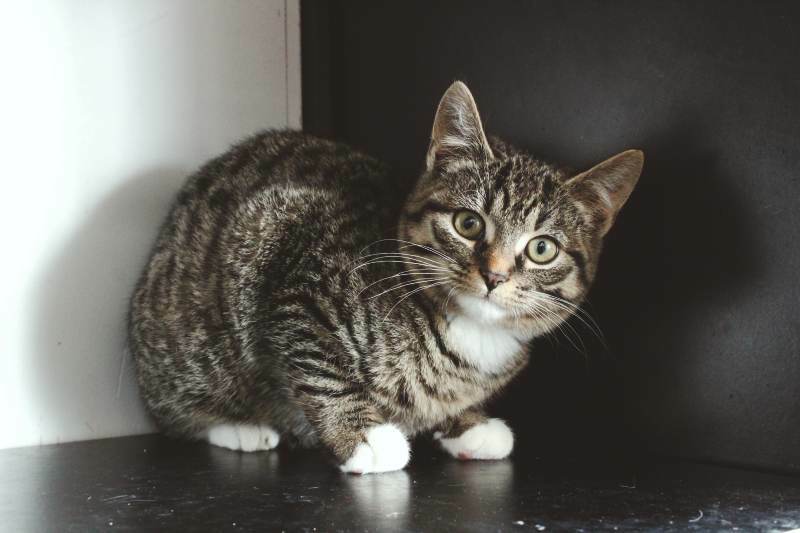 As per rescue rules, Blossom must be adopted into a home with a young cat or with a kitten. 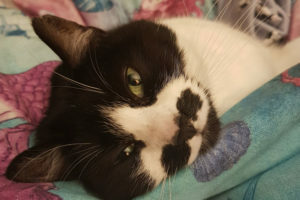 Bubbles is a Black & White / Tuxedo Cat. She was also the hardest cat to choose a picture of because they were all so adorable! 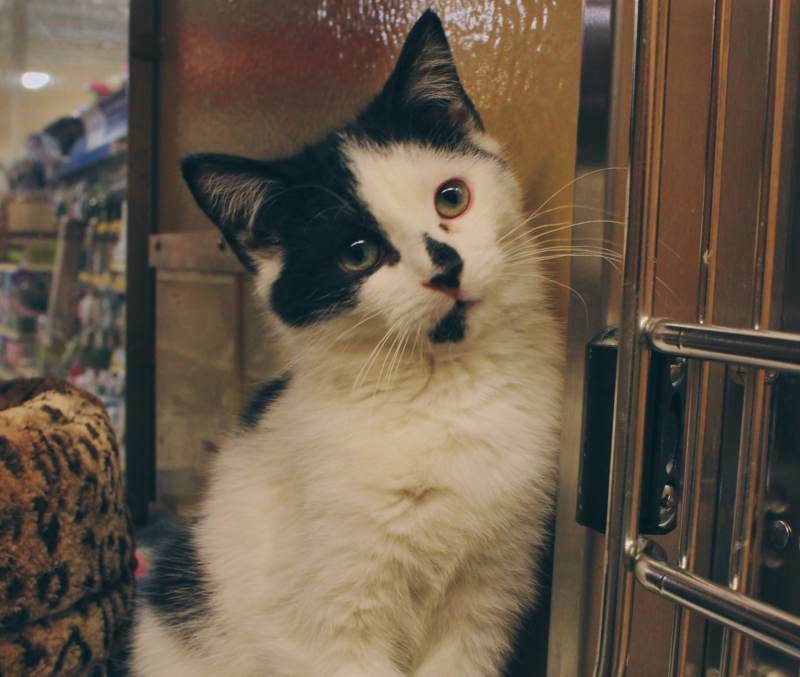 Bubbles is a sweet and fun-loving kitten. She’s the most outgoing of the “Powerpuff Kittens” and her fosters say she’s very feisty and brave. As per rescue rules, Bubbles must be adopted with another young kitten or into a home with a young cat. Buttercup is a Longhaired Black & White/Tuxedo Cat. She’s considered the shyest of all of the Powerpuff Kittens. 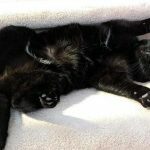 While sweet when comfortable, Buttercup enjoys belly rubs and a good scratch. She spends lots of time in her kitty cave but also loves a good run while chasing her sisters. As per rescue rules, Buttercup must be adopted with a cat or into a home who has a young cat. 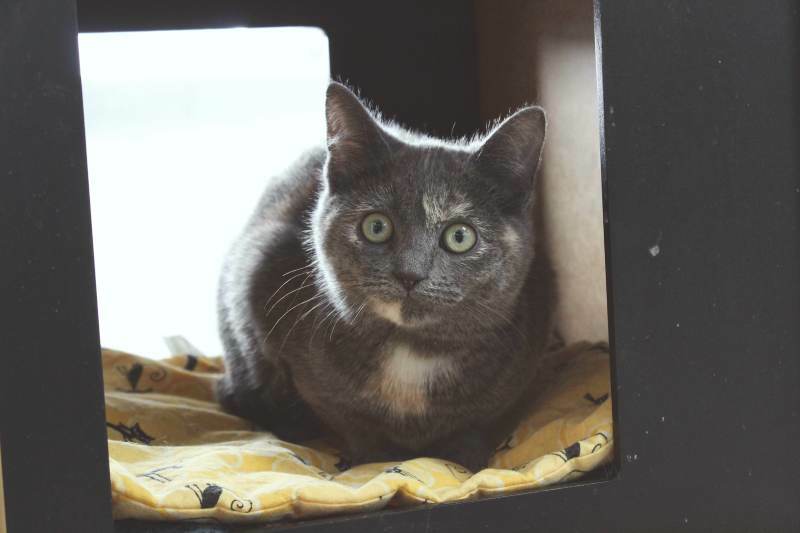 Buttercup will need some extra help being socialized as she is still frightened by loud noises and not comfortable with being approached quickly. It is recommended that she is adopted by a family who has older children. 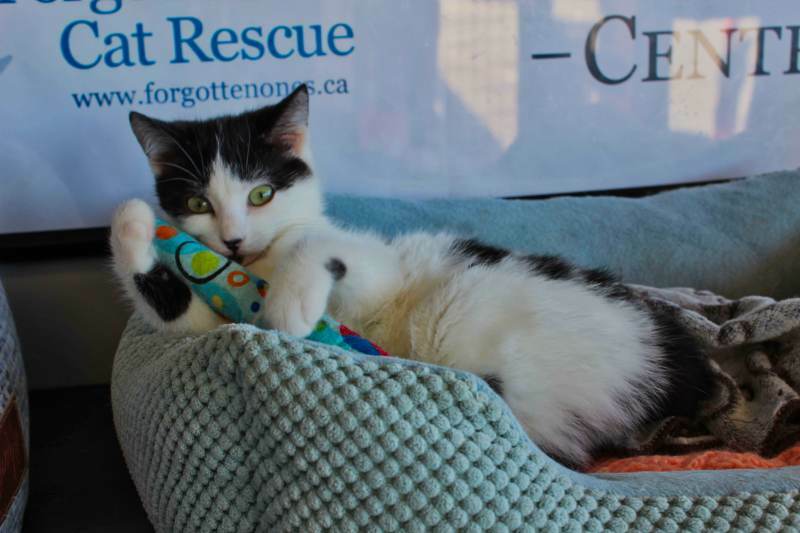 Comet is an adorable shorthaired Black & White/Tuxedo Cat. He’s still fairly shy, though he loves being pet when he gets comfortable with you. He’s quite social with his foster siblings and often knows how to entertain himself. As per rescue rules, you must adopt Comet with another small cat, or must already have a young cat. The rescue also recommends a home without young kids as Comet is still coming out of his shell. 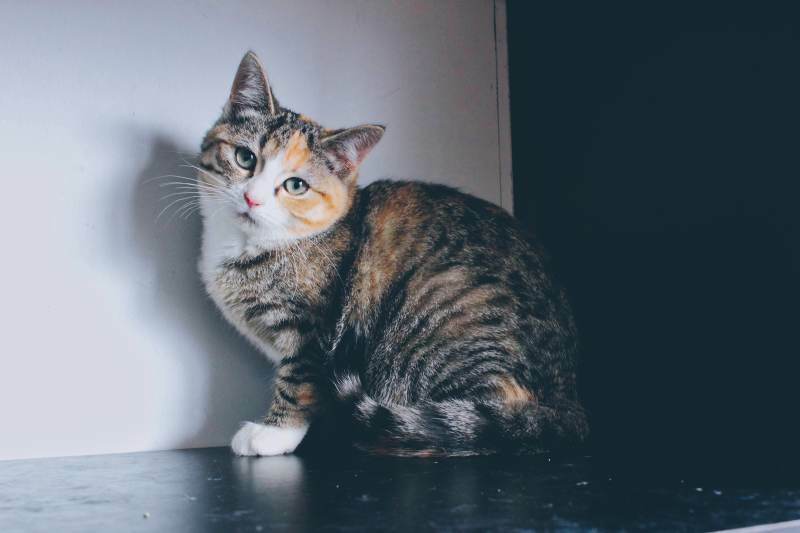 Dolly is a Shorthaired Calico who deserves to be a model. C’mon, look at that picture! Although new to the rescue, it’s agreed that Dolly is the shyest of the siblings. Dolly is very sweet when comfortable and loves her belly rubs. 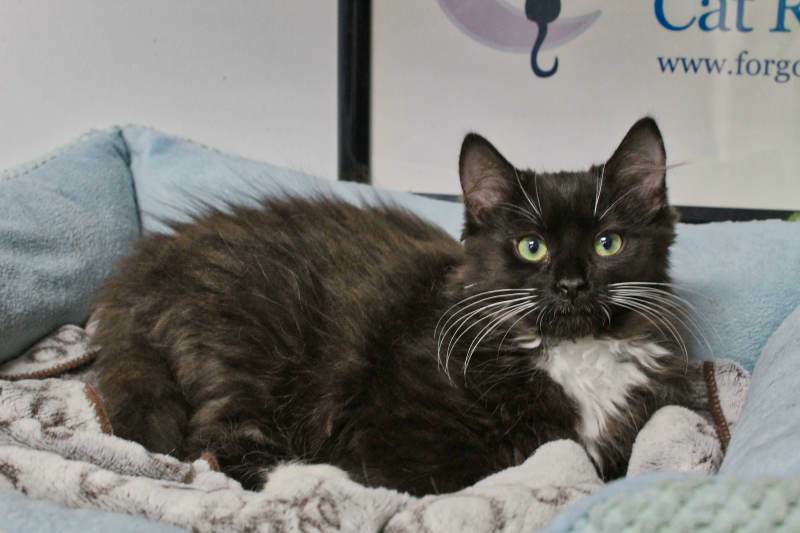 She’s also a huge purr factory, so if you are calmed by the sound of purring Dolly may just be the cat for you! Dolly is good with other cats as has had no exposure with dogs. As per the rules of the rescue, she must be adopted with another young cat or into a home with a young cat. Magnus is a domestic shorthaired brown tabby. 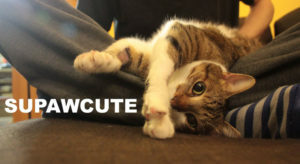 Following very closely in Dolly’s footsteps, this photogenic kitty deserves to be a model. Magnus is a sweet, shy cat who loves to be held. Similar to his sisters, he must be adopted with a young cat or into a household with a young cat. 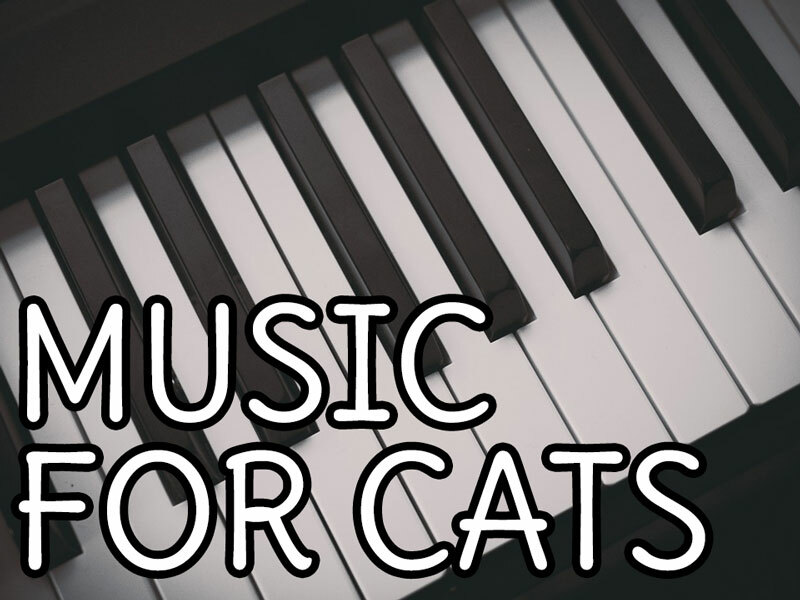 You can check out their website to see all of the cats they have for adoption. Meet Beanie The Black Kitty from Instagram! 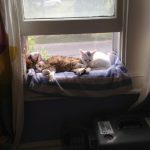 Our Interview with Rhea the 15-Year-Old Cat Rescue Volunteer! Meet Pets Overload’s New Kitty Kalista! 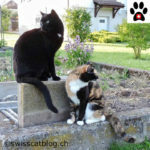 Interview with the Swiss Cats! Do you Volunteer or Run an Animal Rescue/Shelter? We want to feature you! 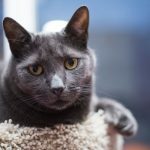 Got an Anxious or Stressed Cat? Check out more of our friend’s posts! 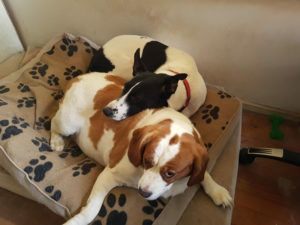 PET SHOWCASE #4 – OUR FOLLOWER’S PETS! Meet Stella and her adorable kitty Lola Lollipop!